AMAZING SETTING! ~1/3 acre wooded & ravine lot backing to a scenic nature preserve! Custom built 5 level split loaded with extras and upgrades! Two-Story Great Room with W/B fireplace & walls of windows. Giant island Kitchen with 42'' maple cabinets, pantry & granite countertops walks out to a multi-level trex deck with hot tub. Master's Retreat (on its own level) boasts a walk-in closet & vaulted shower Bath. Office/Den/Nursery on the Second Level. Finished 4th Level has Family/Media room with Bar/Kitchenette. Community park, pond & walking paths. 4 BRs & 3.5 Baths. Nearly 4,000 SF! Olentangy schools. Only $581,900! Call DeLena today! 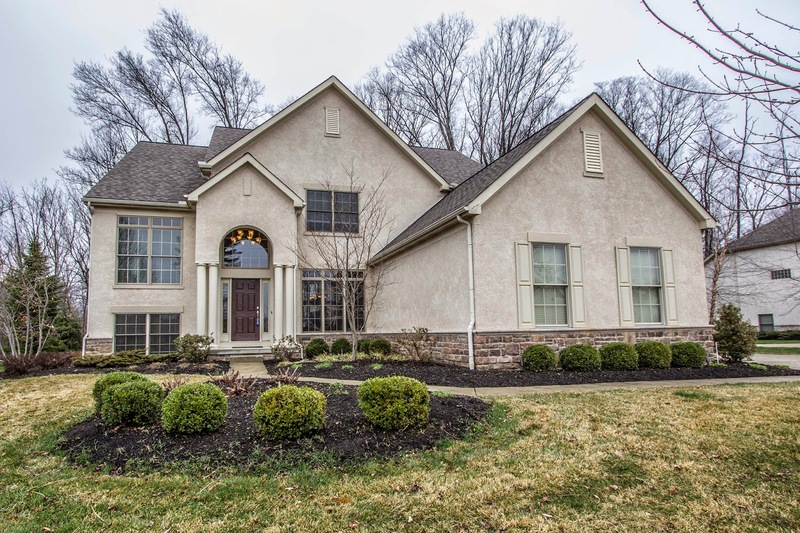 OPEN HOUSE IN WESTERVILLE/ OLENTANGY SCHOOLS! OPEN HOUSE IN STONEWYCK MANOR! !